The government has provided over £450 million on improving physical education (PE) and sport in primary schools. The Prime Minister has also committed to continuing this funding until 2020. This funding is being jointly provided by the Departments for Education, Health and Culture, Media and Sport, and will see money going directly to primary school Headteachers to spend on improving the quality of sport and PE for all their children. We are proud of the of the PE and sport provision at our school and the wealth of opportunities we offer our pupils. We understand the importance of the contribution of PE and sport to the health and wellbeing of our pupils and aim to provide every child with the necessary skills and confidence to participate in sporting activities and in leading a healthy lifestyle. To inspire children to be happy and active through engagement and participation in sport, physical activity and a healthy lifestyle within an inclusive and opportunity rich environment. How will we be spending the Sports Premium funding 2018/19? provide opportunities for pupils to participate in intra and inter schools competitions. At Tilery Primary School we typically start water confidence lessons in Year 4. This continues into Year 5. 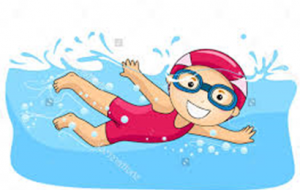 Those pupils who have not reached the 25m expectation will continue to swim in Year 6.